The Venice Insider –great article! The Venice Insider is a lovely website dedicated to visitors to Venice. They have given a great review of the Grenada National Pavilion at the 57th Biennale di Venezia, even before it is open. Thanks Venice Insider! Click to read the article.Work of Jason deCaires Taylor in Grenada Underwater Sculpture Park. March 19, 2017 in Biennale di Venezia 57, Uncategorized. 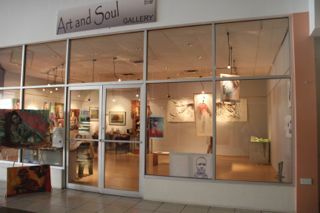 Source: Making Art Grenadian Again Click the link to read this great review by Trinidadian blogger Celeste Mohammed. Thanks Celeste for your very insightful response to your trip to the gallery. March 8, 2017 in Asher Mains, Uncategorized. November 22, 2016 in Rene Froehlich, Susan Mains, Uncategorized.